Yoga block is an appliance for Yoga environment, and can be a helpful improvement for beginners and long time yoga practitioners. Yoga block helps Yoga beginners to finish Yoga movements. You can also improve poses to your body flexibility and deepen to feet stretches through Yoga blocks uses. Our Yoga block offers stability and supports for proper alignment. 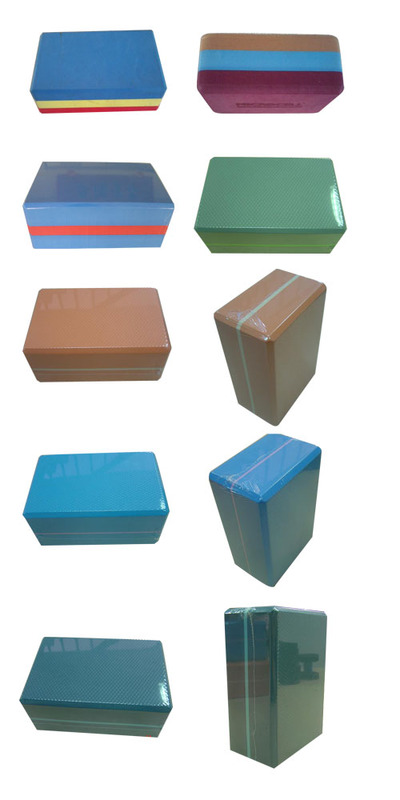 The Yoga block is made of ethylene vinyl acetate (EVA) material and is suitable for Yoga activities or dancing classes. We provide Yoga block production according to your requirement, please feel free to contact us for further information.